Hello everyone. It’s been a while. I’ve just been super-busy in life lately and I don’t want to fall down the “gotta put something out” rabbit hole every week. I pray you’re doing well. Many years ago I served in a community on the west coast and there was a pastor of a rather good sized church who had a strange paradigm – he was ridiculously complimentary of any church and pastor that was “at his level” or larger . . . But when it came to “smaller” pastors and churches, he was dismissive even to a point of being nasty about it. I think one of the problems in the pastoral ranks is that we’ve starting ranking pastors. I appreciate the T.D. Jakeses, the Joel Osteens, the Paul Mortons, the Joseph Walkers, the Kenneth Ulmers . . . But there are pastors right in my community, my state who have preached just as fervently, love their churches just as passionately and they may not have grand stages, they are making a difference in their communities. In my home community of Portland, OR, there was a pastor named Jerry G. Myers. Pastor Myers came up through the ranks at my mom’s home church, Morning Star Missionary Baptist Church, and he pastored a congregation, 50 miles away in Longview, Washington. Pastor Myers was faithful. Man, I don’t know if I could have done it, but he made the distance to that church, even sometimes when it was just him and a handful of people who trod out in the snow. He was well respected and lived to be over 100. He was celebrated by his peers. No, he didn’t see 500 a Sunday. No, he didn’t have a choir and excellent organist. No, he didn’t appear on CBN or TBN or The Word Network. But Jerry Myers was faithful. You can learn (and appreciate) the work and ministry of any pastor – no matter the site of his church. I’ve lived long enough to hear people equate crowd with blessings . . . But it was a crowd that rebelled against Moses in the desert. It was a crowd that put David on the run when Absalom was after him. And we all know, it was a crowd that cried out “crucify HIm” against Jesus, our Christ. Maybe the reason why people don’t rejoice with you is because you don’t rejoice with them. Consider this. Paul never pastored but he heaped praise upon those who did. Selah. It seems like everyday a different provocateur of the modern Christian Church is posting the obituary of the Church. They proclaim death, destruction, apostasy, and a mass exodus upon the Church in favor of a societal shift away from the Church. Is the Lord’s church dying or is there a shift by our congregants? In my perspective, an argument can be made for a reduction of worshipers, but in the nation at large. In the last decade, according to US Census Bureau, the 200s (2000-2009) has seen the slowest population growth in over 50 years. The nation has grown only by 8% with only a 3% (Midwest and Northeast) factor. The fastest growing cities in America, with growth over 170% are not known as great church cities – Lincoln City, CA; Surprise City, AZ; Frisco City, TX; Goodyear City, AZ; Beaumont City, CA; Plainfield Village, IL; Pflugerville City, TX; Indian Trail Town, NC; Wylie City, TX – only one, Louisville, KY, has experienced seismic growth. Church wise there is a shift but its not always traceable. The Southern Baptist Convention has been losing members steadily for years only to have their numbers propped up by the growth in non-anglo churches, particularly African-American and especially Hispanic-American congregation. The worship settings for African-Americans is rapidly changing. When I was a child, you were either Baptist or Methodist. Now, the choices have expanded to charismatic, Apostolic, Independent, House Churches, and even churches of different cultures as our sons and daughters become involved with persons of other races. However, we (as African-Americans) continue to see the rise of mega and multi-location churches. My point is that the church is not dead yet. Perhaps all of these spiritual prognosticators should consider putting down their pens, logging off of Facebook, and get back to ministry. How about preparing sermons that actually work? How about developing lessons with forethought and energy instead of last-minute preparation? How about spending time in prayer that “the Lord of the Harvest would send forth laborers, instead of decrying and in some cases celebrating the loss or lack of congregants in a church. And those of us who read need to make a second-look at the emphases that these writers are making. It’s like the Facebook Super-Pastor who says “everyone is not preaching the gospel” when they haven’t left their pulpit in so long that the chair has conformed to their body shape. I intend to celebrate the church – in all iterations: The mega, the large, the medium, the small, and even the storefront. To have a mega congregation doesn’t mean that their work is more significant or to look at the storefront is to say that they aren’t about anything. The church of the Lord is not a “one size fits all” department store – it’s a mall of speciality stores. I have friends that have memberships in 10,000 or more and I have friends that see 5-10 every Sunday. Both works are important and I celebrate them both. So when I get e-mails from these “church specialists” many who are nothing more than a Pastor with a laptop, I refuse to celebrate their celebration of the church dying. I’d rather celebrate with the Founder of the Church, of the Church triumphant. One of the greatest frustrations of newly called pastors is what I have termed is the Rubber Band Church. Often times Pastors come in with different expectations and anticipations than the congregation that has called them. After pastoring over 25 years, I have discovered that churches will adapt to the vision of the Lord through the Pastor with great success or they will snap back and return to their original form which is the Rubber Band Church. Recently a young pastor reached out to me. He has been at his church 18 months and the church and is frustrated that “they haven’t changed.” He ranted and raved for 30 minutes and then I said to him that churches have a center core. They have certain practices and belief systems that are at their core. You can stretch them or try to stretch them or suggest that they stretch – but at the end of the day (and this is non-denominational), a church will return to it’s center. That is applicable even during a pastoral change of leadership. How well I remember leaving my former congregation in San Diego. For months, I sat in the audience with my deacons because I was tired of being the focus of attention. I am primarily a worshiper. I wanted to worship without every eye of support, criticism or ambivalence staring at me. I resigned on a Sunday morning, came down to the office to clear my office on a Monday and peeked into the sanctuary, and those chairs that I had removed miraculously and mysteriously reappeared. Chairs in a pulpit were a part of that church’s center core. I’m not suggesting it’s always a bad thing because all churches need to have core beliefs. The Word of God should never be compromised; Preaching and Teaching the Gospel should never be rebuked; Serving each other and the community should be resident within a congregation. However, brother and sister pastor, they are some things that will always bounce back to center and become part of the lore of that congregation. 1. Make sure that you are stretching the congregation because of the Lord and not because of an agenda. Keeping up with the Joneses is a poor excuse for stretching a congregation. 2. Make sure that you have a firm grip on the process. One of the most painful experiences can occur when you stretch a congregation (rubber band) and then it slips and you get with the force of the rubber band. 3. Make sure that when you stretch make sure that the vision for it is compatible with the amount of effort you’ll be exercising. Never put out great energy for minute projects. I pray for that pastors and leaders who are challenging their congregations to go beyond boxes, limits and paradigms. And may the church follow and not grudgingly stay in place like a rubber band that will not yield. Are We All Supposed to Be Blessed in 7 Days? I am a fan(atic) about preaching. I love preaching and love the art and craft of gospel preaching. My portfolio of favorite preachers crosses denominational lines, age barriers, and gender. I just love great Bible-based preaching. Preaching is not my issue. What I’m concerned about is that we are making unrealistic prognostications over the pulpit that sound like the Will of God, however, it’s not really in His will. To be in a room full of believers and then promise them that in 7 days they will all be blessed or in 6 months they’ll all have brand new houses seems to me to be in the realm of preaching malpractice. To be in a Pastor’s Conference and then promise to every Pastor that when you get home your church is about to “blow up” and that you’re about to move into the national arena seems to me to write a promissory note that cannot be cashed. To be in a conference and tell the room that when you get back home you’re ministry is going to increase and see things that you’ve never seen before and then you return and get put out, it seems like either the prophet was confused or the hearer confused – I choose the prophet. In an effort to create empowerment in the body of Christ, some of us have forgotten that “the poor will be with you always.” (Matthew 26:11). It’s God’s will, yes, that you would prosper as your soul prospers (3 John 1:2) but if you look at most translations of that original text, it’s conjunctive with health and not wealth. I have been in services and prophesied over and there have been times when the prophesy just flat footed did not come true – by no stretch of the imagination. I’ve become convinced that to speak “thus saith the Lord” without any authorization or authenticity from the Lord is to basically lie on the Lord in order to score spiritual points with a crowd. It may make good television but it does not make good and faithful believers – and it opens a door to doubt causing serious spiritual damage to the one who receives it. I’m currently preaching through a series on healing but I also am fully aware that as I preach it, all healing is not in my hands nor in my words. God has the final say so. And people still die. People still get sick. However, I can honestly say that if the Lord wills so, He can heal – and he can heal you with or without the medicine or with eternity. I think it would be appropriate to stick to the book (The Bible). Encourage yes. Placate no. Offer hope in Christ yes. Offer hope in our words no. Be authentic yes. Be a showman no. SAN DIEGO, CALIFORNIA – For the past 48 hours, I have been in San Diego for the home going services for my dear friend, Sis. Mildred Lee Bell, charter member of the New Hope Friendship Missionary Baptist Church, where I served as their pastor for nine years, from 1995-2004. I’m here by invitation of her family. Mildred and I were close. Not only was I her pastor, but after going through a horrendous storm of divorce and the aftermath of it affecting the congregation, after my resignation, it severed professional ties, but Mildred would not let me go. We stayed in touch. We had monthly telephone calls where we laughed together, mourned together, and encouraged each other. When I left here in 2004, I had vowed I would never return. I was hurt, bruised, beaten, and broken of spirit. I had been through hell like I had never experienced nor would I wish on anyone else. When I came to clear out my office, I will never forget the glare of the then chairman of deacons and a member who would go on to become a trustee, who came to the church to watch me pack up my belongings. As I single-handedly packed my belongings into my vehicle, I stood on the final step and shook my foot three times – remembering that scripture found in Matthew 10:12-14. I had shaken the dust from my feet. It’s hard to fathom that 10 years have gone by since that day in 2004. So many things have happened – the great recession, the election of a black United States President, Wars overseas, domestic problems – and for me personally it has been a journey in the hands of the Lord. I’ve preached as a full-time evangelist, worked for a prominent immigration attorney, served as a Senior Project Manager for an international ministry, served as a full-time assistant pastor in Nashville, married an amazing and supportive woman that has no equal in her love, and now, serving what I believe is the church of my dreams, First Baptist Church, in Frankfort, Kentucky. I’ve been tremendously blessed by the Lord. It says something that sometimes the biggest obstacle to our healing may be ourselves. Sometimes our perception, right or wrong, of how others feel about you, may be building a wall needlessly. Every pastor has supportive people, those who are on the fence, those who are against – but it’s not our job to be popular – it’s our job to feed the flock, and a grateful flock will respond in kind. The many years that I stood behind that pulpit and labored in the word did not go in vain. Even though circumstances were stormy – the storm is not only over, it’s literally water under a bridge. I suspect that it took the home going of Mildred to bring us all together. It had a feel of a reunion. How an 87 year old woman could accomplish this is only by the grace of God. 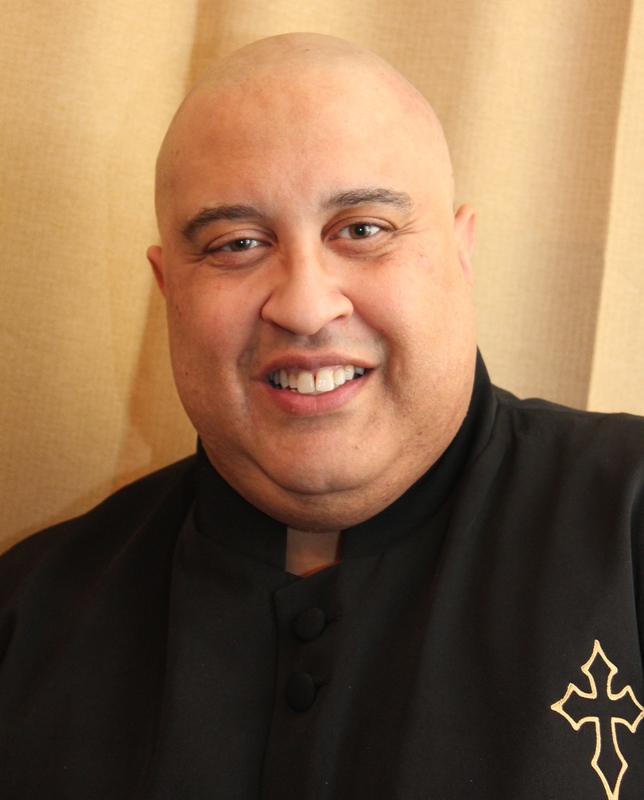 The current pastor, Rev. 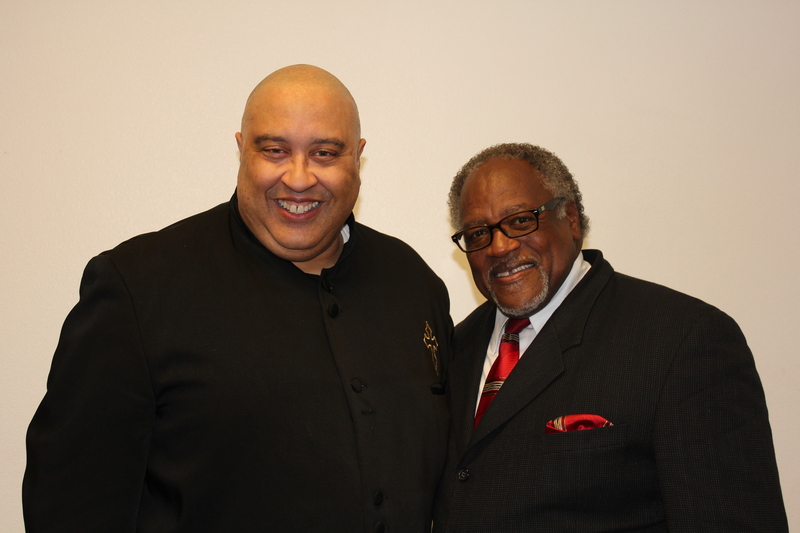 Milton Chambers, preached a classic sermon and he went out of his way to welcome me back to New Hope Friendship. When I arrived, the signage was up and we worked together to make sure that Mildred had the kind of home going service that she deserved. I presided. He preached. And God received all of the glory. So I’m about to pack my bags and I’m eagerly looking forward to coming home to a beautiful, loving wife and a prayerful and supportive congregation, to continue ministering in the pulpit that the Lord over 5 years ago. But I leave San Diego this time with a smile on my face, joy in my heart, and an appreciation of the healing and reunion that took place this weekend. In this wonderful nation of ours there are over 300,000,000 people who live here. There are 50 states, over 3,100 counties, over 30,000 cities. There are four major traditional baptist conventions, each claiming over 1,000,000 members. There are easily at least one state baptist convention in each state, some have as many as 4 or more. There are hundreds of district associations, state conventions, district congresses, state congresses, general associations, national conventions, local/state/national fellowships, and on and on and on. So why is it that we only utilize a handful of preachers to speak at these events? No one will dare say it, but in the hallway of most of our conventions, the same faces and names appear on the program year after year after year. Surely by now there should be some new faces and voices emerging from the diaspora of the African-American church experience. However, it’s the same people preaching conventions all over the nation – basically utilizing the same five sermons – and frankly, it’s tiring. Our General Association of Baptists in Kentucky had invited a minister to be our guest speaker this year and he fell ill and was unable to be here. Our State Moderator and his wife were on the way to Cancun, Mexico when he received the news – a little less than 3 weeks away from the annual session. After consulting with a friend and praying over it, he selected Reverend Cory Ramont Morris. A minister that most of us in Kentucky had never heard before. However, by the end of the week, he became the talk of the Commonwealth of Kentucky. Great theological mind. Young but seasoned. A rare ability to connect with the old, the middle aged, and the young. Tremendous delivery. Friendly and approachable. Not haughty and not stuck up. And yes, a close that could easily be construed as one of the best I’ve heard in recent memory. Outstanding scriptural approach and exegesis. Teaching while preaching. Maybe our problem is that we look to the stars of the church rather than to the Hills (from whence cometh our help) – and instead of considering those who are solid in the faith, upcoming, and striving pastors – we get the same old soup in a new bowl with all gravy and no meat. My former pastor, Bishop Darryl S. Brister used to say “all you need is one moment of exposure to change your life.” There are a plethora of ministers who if just given the opportunity to be programmed, you may discover what all the fuss is about in their local communities. Case in point. A West Virginia pentecostal pastor has been attending a Conference in Tulsa, Oklahoma for years and gets the opportunity to meet the host. One year, one of the speakers can’t make it, and the host calls him and asks him, at the last minute to fill in. The minister preaches a dynamic sermon and most people had never heard of him. The conference is televised and the owner of the world’s largest Christian television network sees his presentation, picks up the phone, calls him, and brings him to his network studios, and launches him into preaching history. 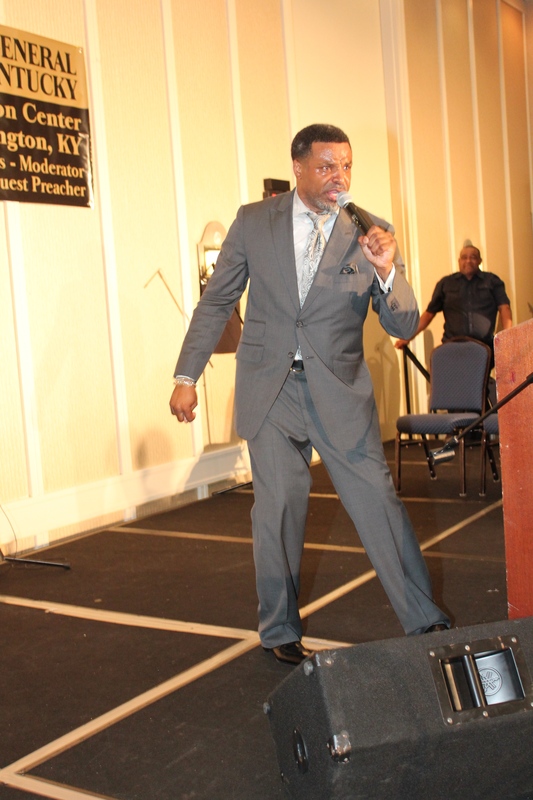 The host was Bishop Carlton Pearson. The event was Azusa. The network owner was Paul Crouch. And that West Virginia minister, who admitted that at one point he was the pastor, musician, usher and janitor, is named Thomas Dexter (T.D.) Jakes. Because he was given a chance. I was the recipient of opportunities. Outside of my home church, people like Dr. O.B. Williams, Dr. J.A. 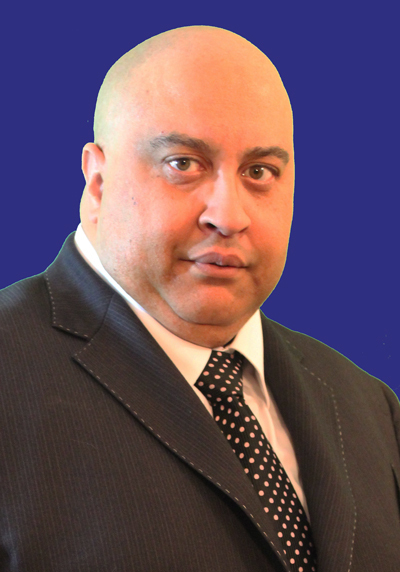 Boles, Dr. S.M. Lockridge, Dr. Ray Williams, Dr. H.F. Dean, Dr. Willie T. Snead, Dr. Melvin Wade, Dr. R.C. Williams, Sr., Dr. Clyde E. Gaines, Dr. A.E. Reid, Dr. A. Russell Awkard, Dr. Bernard Crayton, Dr. C.B. Akins, Dr. Walter Parrish, III, and others GAVE ME A CHANCE. They took a chance and gave me opportunity to preach or serve in conventions – even when I was pastoring a storefront church and pastoring for free because the church was not in position to pay me; even when I was pastoring a church and I had to make it to the conventions on my own dime; even when I was fighting for my pastoral life and the storms were raging at full blast; and even at the church of my dreams – I have been the recipient of an opportunity. I’ve preached for state conventions in Oregon/Washington/Idaho; Kentucky; California; North Carolina. I’ve preached for district associations in Oregon, California, Louisiana, Tennessee, and Kentucky. I’ve preached for city-wide revivals in Newark, NJ, Gary, IN, Albuquerque, NM and other places. I’ve preached in Revival or for special occasions literally around the nation. Because I was given a chance. Maybe before the next leader of a group invites Rev. Dr. So and So or Bishop So and So or the Pastor who is pastoring the large church over in the next state or many the denominational leader who you know really can’t preach, but has a big name. There are gifted young pastors, middle aged pastors, even elderly pastors who have never been given the opportunity to preach because they didn’t graduate from a certain school or they didn’t have the opportunity to complete college or they had a family to support and sat under the feet of their pastor or college was not for them – and yet they minister faithfully, biblically and with integrity. They are in every state – just waiting for a chance. I’ve always prayed, Lord, if I ever get in the position to help someone else up, please help me to do so. I wonder what would happen if our conventions do today what they use to do in yesterday and give an opportunity to young preachers like E.V. Hill, Melvin Wade, Stephen Thurston, A.L. Bowman, Sandy Ray, C.L. 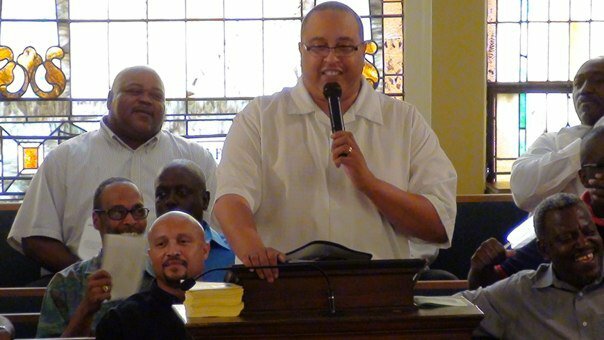 Franklin, Jasper Williams, E. Edward Jones – and other young pastors who were given the opportunity to preach nationally at a young age. When our session in Lexington closed after hearing a session that will live in the annals of history of this 149 year old institution. 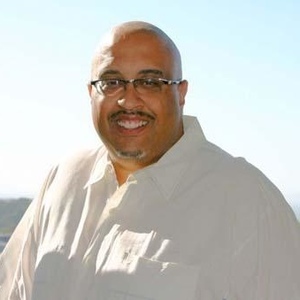 The name of Corey Ramont Morris will stand in the hearts of minds of the delegates that trusted their Moderator to be obedient to the Holy Spirit. We didn’t know him then. But we know and appreciate him now. Give somebody else a chance. I’ve been privileged down through the years to officiate at many, many weddings. Matter of fact, I have had the joy of uniting couples in Oregon, California, Tennessee and Kentucky. I’ve officiated at the weddings of strangers, friends, acquaintances and relatives. All weddings are filled with pageantry, poignancy, and personality. No two weddings are the same. But all marriages come to that point of where familiarity sets in and that which was special on the day of the marriage is now no longer special, excitable nor does it move you like it used to. So it is in marriage, so it is in ministry. Every pastor and every church comes to a point of familiarity. If a church and a pastor are not careful, that familiarity can breed contempt. I recently preached a sermon entitled “Don’t Let HIM Down” when Jesus received the complaint of a father who brought his son to Him after the disciples could not heal him. Jesus said that the Disciples had demonstrated a lack of faith and needed at least the faith the size of a mustard seed. My point is that when the spectacular seems ordinary, when the possible is viewed as impossible, and when steak is referred to as hamburger, a season of familiarity has begun. No one is exempt from this. It’s going to come. No matter how they holler, run and shout today – the day will come where they will talk instead of holler, walk instead of run, and stare instead of shout. Not all church members, thankfully, are like that – but Pastors have to make sure that they don’t become so familiar with their congregations that in order to pacify people, principles become pulp, preaching becomes pablum, and pastoring becomes pointless. Even in the largest megachurches in the nation, no sanctuary is 100% full every Sunday. Even the largest churches carry some of the highest debt load even higher than some businesses. Even the television ministries carefully pan the audience not to show the empty seats. In other words – when things are familiar, the excitement and the crowd is subject to change. The best way out of this is this: preach! Don’t carry your burdens to the pulpit. Don’t let their familiarity draw you into a stage of lethargy. If you worked hard on your sermons when you got there, keep on, as our guest, Rev. C. Ramont Morris said to the General Association of Baptists in Kentucky, showing up! Skeptics? Keep on showing up! Naysayers? Keep on showing up! You don’t have to battle with anyone because the battle is not your’s, it’s the Lord’s. Then pray for a Revival – not for the people, but for you. Pray that God will give you that freshness and awe of the place where you stand every Sunday. Pray that you’ll love on those who come to hear you preach every Sunday and not become bitter about those who leave because you couldn’t turn water into wine and you couldn’t accommodate their problems. Don’t be bitter, be better. I’m going back to my pulpit on Sunday, with a word from the Lord, grateful that He sends people for me to sow into their spiritual lives every Sunday, and with the idea in my heart that i’m going to stand there, with everything that I have, and preach the gospel of Jesus Christ like it’s the first time. The Season of Familiarity will not be one that I plan to experience, but for a short time. A Nugget . . .
One thing that has to be remembered by all of us who serve the Lord as pastors is that there are some things that we will never be in control of. Do your best every Sunday. Preach like it’s the last time. Teach like someone’s life is in the balance. Preach in season and out of season. Preach when you’re popular and preach when you’re not. Preach when the house is full and preach like the house is full when it’s not. Celebrate the good days and reflect upon the bad days. Be there when they cry and be there when they can’t open their mouths nor their eyes. Rejoice at their weddings, celebrate their accomplishments and be that presence when their world is falling apart. Don’t take your anger to the pulpit and don’t let your anger permeate your preaching. Smile even when you don’t feel like it and laugh when no one is around. Just a few words of advice after 25 years plus of pastoring . . .
First, I want to give a huge shout-out to Bishop Neil C. Ellis and the Global United Fellowship. First, thank you for live streaming not just the evening sessions, but all of the sessions. Tonight was absolutely incredible as they raised budget, will leave North Carolina not only in the black, but with valuable partnerships, and purchase of three television stations – all of that in one session. 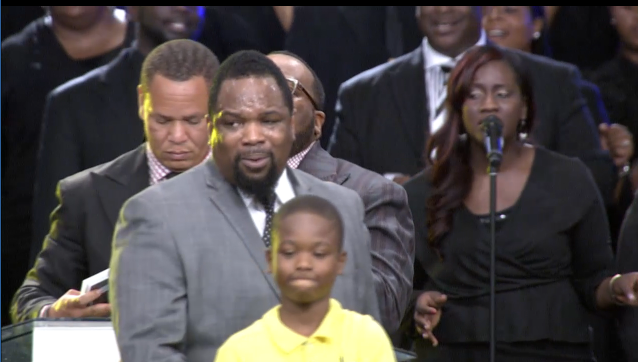 Then the young man from Atlanta who was kidnapped and kept singing Bishop Hezekiah Walker’s song, “Every Praise is to Our God” was presented by Bishop Walker and a spontaneous gift of love, started by Yolanda Adams and Bishop Kenneth Ulmer (who personally gave $5,000) was . . . I guess heart-wrenching is not the right word . . . all I know is that me and the wife were marveled at what we saw and crying our eyes out. NEVER in years of Conventions and Conferences have I ever witnessed what I saw tonight. Secondly, this was Associational week for most of Northern Kentucky. One moderator, Dr. William Nelson, presided over his first session as leader of Central Baptist District Association and another moderator, Dr. Bishop Carter, III, completed his tenure as moderator of the Consolidated Baptist District Association. Our church is in the Central District and we are former members of Consolidated District. I had the privilege of preaching the 1:00 p.m. sermon on the final day of Central District. Third, I saw something that literally disappointment and ticked me off to the height of ticketivity. A new television series is on the way, made by the makers of the comic/television series, “Boondocks.” The new show is entitled “Black Jesus” with the premise that “Jesus” lives in Compton. I tried to watch the preview trailer and it literally turned my stomach. It won’t be playing in the Houston household and I hope that the Christian community will rise up and shut this mess down. Certainly, I’m praying for those who lost their lives on the Malyasian jetliner and praying for peace for the Middle East and our nation – especially our inner cities. That’s enough for now. Good night y’all. Fast forward to 2014. I’m in Dallas again, attending the E.K. Bailey Preaching Conference and really, honestly, and truthfully, I don’t think I’ve ever been happier. I’m blessed, foremost, with a clear relationship with Jesus Christ. After watching Him repair my heart over and over and over again after the Dallas Debacle and seeing two of my best friends receive their commencement in Heaven, and going through the ups and downs of ministry – I trust Him more and more. Last night, Dr. E. Dewey Smith talked about the downs of ministry. A year ago, I would have been in tears, this year – no tears, but an appreciation of the repair apparatus of God. My heart has been healed. Secondly, I have an amazing life in Frankfort. Note of disclosure: Kentucky’s state capitol was the one I could never get correct in school (always thought it was Louisville). My wife and I have been tremendously blessed since our marriage in 2005. We haven’t had five minutes of arguments in nine years that I have listened to (JOKE CREDIT: The late Rev. Dr. E.V. Hill) and we have an extraordinary church family. We live RIGHT NEXT DOOR TO THE CHURCH, but they respect our privacy and we have walked together with our congregation in our highs and our lows. Our lows have been rough but it is in our lows that we discover that our God whom we serve is truly able. Thirdly, my health is improving. I’m a tad skinnier than I was last year. Getting into some clothing that was headed to the Goodwill because of “lack of additional space.” Since my bout with cancer, I’ve developed an ulcer (open wound) on my foot, which my medical team now says should be completely healed this summer. I started my walking regimen this week in Dallas, wearing diabetic shoes with orthopedic inserts. I’m on a dietary routine . . . well, when I get back home, I’ll get back to it. 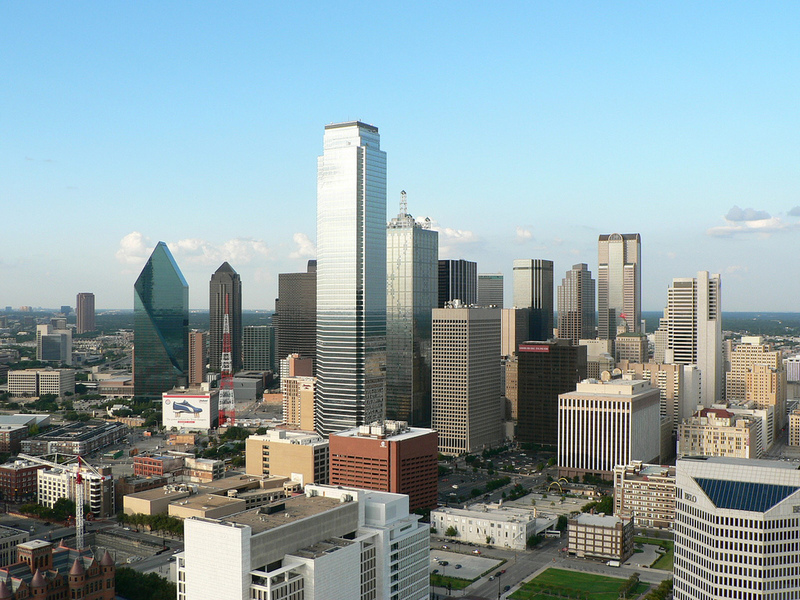 Dallas food ain’t no joke and some of my favorite restaurants in the US are here – Pappasito’s, Pappadeaux’s, Catfish King, and even Church’s Chicken (hard to find in Kentucky). I’m walking this year without a cane, without a cast, and moving better than in a long, long time. Fourthly, I’m content. 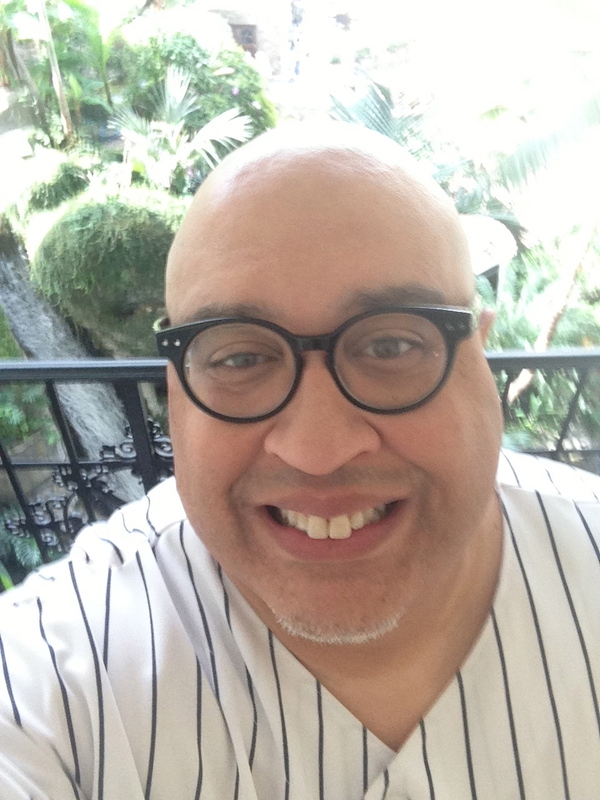 Look, I’m 54 years old – I don’t look like it (thank you to those who invented razors and Michael Jordan who made bald a fashion statement). I’ve had my challenges but God’s been good. I look back over my life and those stormy moments are nothing but history now and now worth repeating. I’m thankful for my beginning years in Portland. I’m grateful for my enjoyable years in Fresno. I’m grateful for the maturing and challenging years in San Diego. I’m grateful for the restorative years in Nashville. And now, I’m thankful for the blessed years. In the words of a pastor I spoke with this week, he said “Houston, it sounds like you are going to heaven from Frankfort.” We shall see. But these are the best times of my life. At 54, I’m a card carrying member of the “Senior Sages” fraternity of preachers. This year it’s been 37 years since I’ve been called to preach. This year it’s been 36 years since I preached by first sermon at New Hope Missionary Baptist Church in Portland, Oregon. This year it’s been 25 years since I began a series of Pastoral assignments. I’ve been a member in all these years of all four national baptist conventions and the Full Gospel Baptist Church Fellowship. I’ve held convention office from Vice Moderator of a District to Congress Dean to State President to District General Secretary in two districts, President’s Special Assistant of a National Convention, Board Chair of one of the nation’s oldest black newspapers. It’s been quite the ride. I’m in a good place in life. 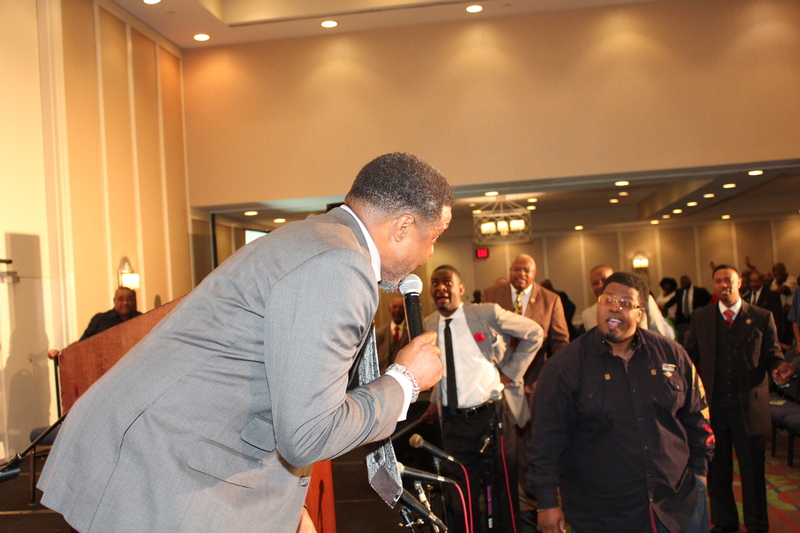 And not ashamed to say, as Dr. Smith, said, that I’m even holistically well – physically, spiritually, and mentally. I know when it’s time to find someone to talk to. Lord knows I’ve had enough to warrant that counsel this past year. I encourage Pastors – make sure it is well with your soul, your strength, and YOUR MIND. I’m grateful that I did not become a statistic.